The Comms Counsel offers observations, tips and insights into the media and communications, and their impact on reputation. While I may sometimes refer to Edelman, the communications marketing firm I work for, this is a personal forum and the views expressed here are mine. I look forward to your comments. If you arrive for a television interview and you see two cameras set up, be prepared. Why? The producers are probably expecting you to walk out on the interviewer. A two camera shoot means the crew is anticipating an interview so hostile that you won’t want to stick around for the cutaways. That’s why they need two cameras to pick up those wide angle and reverse shots in real time. Or, worse, they’re hoping you will be provoked into walking out of the interview. That is television ‘gold’ and a guarantee you will be featured in the program promo, the opener and commercial break teasers, and forever on the Internet. Who remembers why former French president Nicolas Sarkozy walked out of an interview with 60 Minutes’ Lesley Stahl? Leaving so soon, Mr President? Or why the ‘Wolf of Wall Street’ Jordan Belfort walked out on Australia’s 60 Minutes? Or Joan Rivers on CNN? Or the Bee Gees on the BBC? Chances are no one will remember why you walked out either. Stay calm, resist the urge and remember why you are there. You don’t want to be on a top ten list of all-time classic television interview walk-offs. In an age of mistrust, is the ladder of credibility broken? When under attack on an issue, reach out to a third party who is more trusted than you and who agrees with your point of view. A healthcare professional. An environmental scientist. An academic or independent expert. We use them to get a leg up on the ladder of credibility. The approach even has its own theory, credibility transference, coined by risk expert Vince Covello who argues that aligning yourself with someone more credible than you will raise your own credibility. But in the age of mistrust, is the ladder of credibility broken? My own view is that reports of the independent expert’s death are exaggerated. A strong endorsement can still be a powerful weapon. But their credibility and authority can never be assumed in our polarised red state/blue state world. Choose your expert advocates with care. What standing do they have in their own professional communities? Are there skeletons lurking in their closets – perhaps a stray old paper or conference speech? Can they withstand a Twitter firestorm from your fiercest adversaries? If necessary, run your own ‘opposition research’ on your chosen experts. Whatever happens, protect their independence scrupulously. Everyone is a cynic these days and your audiences will be quick to smell a rat. Finally, you may need to be patient – when climbing the ladder of credibility, it’s one rung at a time. In the not-so-original words of Taylor Swift, haters gonna hate. More accurately, in an issue or crisis, your adversaries will have powerful reasons to double down on their position: they may have a diametrically opposed worldview or a need to maintain the rage of their supporters. Ten per cent of your audiences will always be against you. Conversely, another 10 per cent of your audiences will probably be supportive of you. That means your efforts need to be concentrated on the persuadable 80 per cent. They are the audiences who are willing to listen, even though they may not agree – or even approve of you – right now. Think of it as an inverse of the Pareto principle. It doesn’t mean you can ignore the other 20 per cent. Harness your supporters to be advocates, and be ready to rebut and respond to your detractors depending on their volume and level of influence. Just don’t expect to change their point of view. Who do you trust most (and least) in a crisis? The latest Edelman Trust Barometer makes sobering reading for corporate leaders. Trust in all institutions has fallen to levels not seen since the global financial crisis while, in half the countries surveyed, trust in business has slumped below 50 per cent. Worryingly, the credibility of CEOs continues to decline. Only 43 per cent regard CEOs as credible, compared with academic or industry experts (70 per cent), company technical experts (67 per cent) or ‘a person like yourself’ (63 per cent.) Only government officials and regulators rank lower at 38 per cent. The findings add to the debate about whether the CEO should be the primary spokesperson in a crisis. Quite apart from the practical issues of time and availability for media briefings, there’s the question of whether the CEO will be believed. If ‘a person like yourself’ is among the most credible information sources, a CEO who is obviously not ‘a person like yourself’ faces an even bigger credibility gap. It would be wrong to suggest that the CEO should shy away from communicating – there is an expectation of visible leadership in a crisis. A better solution is to build a bench strength of subject matter experts and advocates to support the CEO and lend greater credibility. For the first time, search engines are now the most trusted source of general news and information among informed publics, eclipsing traditional news media. Owned and social media are also increasingly trusted. This has implications for the way organisations communicate in a crisis. Making information easy to find and share is important, as is engaging with stakeholders and credible third parties: relationships which should be in place before a crisis hits. They were lucky. Time-pressed journalists trying to distil a spokesperson’s position are more likely to edit down a short ‘grab’ that can strip away meaning and context, often with distorted results. Qualifying phrases stand little chance. Nuance is a no-go zone. The New York Times still carries on its masthead, “All the News That’s Fit to Print.” The flip side is, if it doesn’t fit it won’t get printed. Unfair? Possibly so, and this may be a factor in the erosion of trust in news media. However, it’s an academic argument if you have already ceded control of your message. Spokespeople and communications professionals need to come to any conversation prepared with a tightly-framed point of view, ready to express it with clarity and colour. Editing – the art of honing and refining language – involves ruthlessly cutting words. Edit first, or risk being edited out of context – or even out of the conversation altogether. Is your crisis plan ready for the real world? “It’s all covered in the crisis plan.” Few statements are likely to do more to instil a false sense of security in leadership ranks. Office bookshelves abound with detailed plans lying unread: many organisations which do have crisis procedures fail to test them on an annual basis. 1. Is it easy to read and to use? If not, it’s at risk of being ignored. Increasingly, crisis plans – or manuals – are adopting a slimmed-down look, addressing core issues such as team member roles and responsibilities while separating out the ‘toolkit’ details of template materials and contact lists. ‘Plan-on-a-page’ versions are valuable as a ready reference tool. 2. Do team members understand their roles? The plan itself is only one element of crisis preparedness: selecting and training crisis team members is essential to ensure the right people are equipped with a full understanding of their decision-making priorities. 3. Does it address identified scenarios? What are the risks your organisation is most likely to face? Who would be impacted and what would their needs and concerns be? Consider a playbook for specific high-impact, high-likelihood scenarios. 4. Is it up to date? Much can change in 12 months. Does the crisis plan account for any events that may have impacted your industry? What was the result of your most recent crisis simulation? Are there lessons learned which need to be incorporated? 5. Does it define a crisis? By its nature a crisis is an unusual event, to be distinguished from an incident or issue. Assembling a crisis team is disruptive and there should be well-defined criteria for activation. 6. Does it have senior leadership buy-in? Prompt and open communication may be at the cornerstone of your planning but, when the heat is on, will the CEO and board commit to this? 7. Does it reflect your organisation’s structure? One size doesn’t fit all: a crisis plan should mould to your organisation’s structure. Consider how many tiers are required, e.g., local, regional, global, and time zone differences. A global crisis team will focus on the broader strategic business and reputational impact. 8. Is adequate resourcing built in? Adrenaline may get you through the first 24 hours but eventually each crisis team member will need to be switched out. Are alternates identified and trained in these roles? Are back-up facilities and systems identified and available? 9. Does it identify the right spokespeople? It’s an oft-debated point but this may not always be the CEO: the best media spokespeople are selected on the basis of their availability, their familiarity with the situation, their ability to handle media questions and their credibility with audiences. 10. 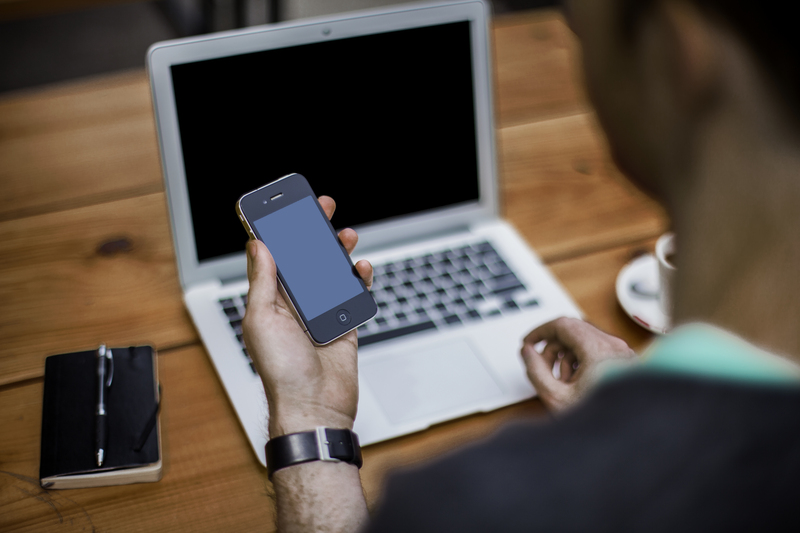 Is social media integrated into your communications planning? Social media is a vital tool for communicating quickly and rebutting misinformation. Do you have social media assets such as Twitter or Facebook in place? Is your social media team integrated fully into the crisis communications function? All organisations face competing priorities for time and attention, but risk management and crisis planning can never be relegated to ‘set and forget’. Crisis preparedness is a capability which needs to be continually exercised and refreshed. Is your crisis plan ready for the real world? No matter how confronting, the first question is usually your best opportunity to deliver your message and supporting points. Be ready to take it. Follow-up questions are likely to become more narrowly focused and harder to bridge to your message from: it is far better to stake out your territory at the outset. If you’re facing a quality or service issue, there’s little point in trying to steer your responses towards a new product offer. Your message needs to be aligned to the issue at hand, otherwise you’ll be accused of avoiding or evading the question. Make sure the message shows an understanding of your audience’s concerns. Point. Reason. Example. Point. It’s that simple. Long or waffling answers frequently get spokespeople into trouble. When in doubt, re-state your most important message and stop. An interview may look like a conversation but it’s not: don’t speak just to be polite. Crisp, message-focused responses will help you stay in control. And remember, don’t take it personally. Hostile or provocative questions are asked for a reason: it’s only your answers that count. A recent CEO.com survey found the vast majority of US business leaders remain stubbornly unsocial. More than two-thirds of Fortune 500 CEOs have no presence at all on any of the major social media networks. 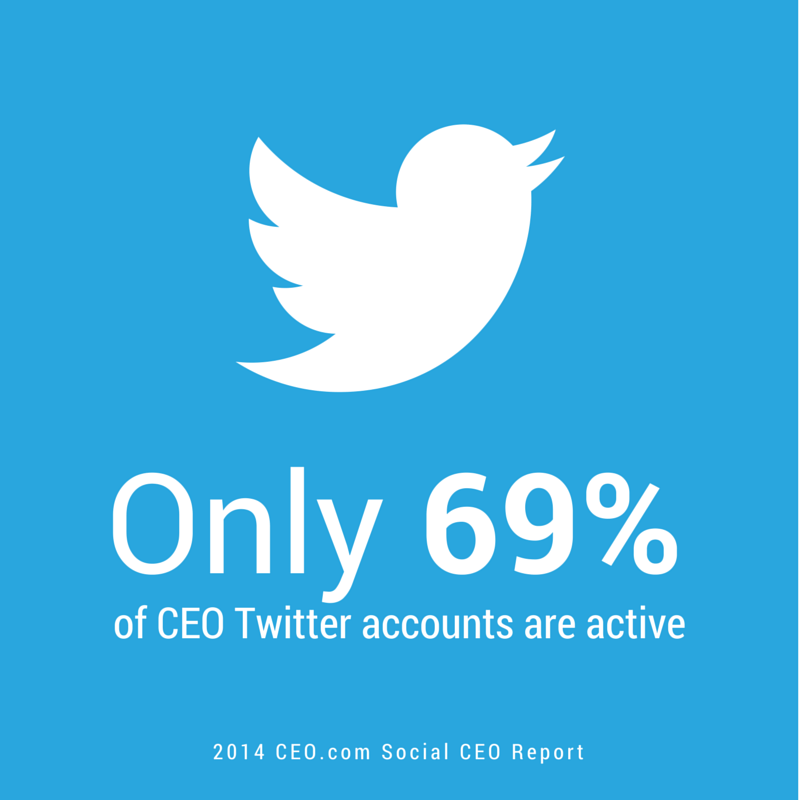 Only 42 chief executives have a Twitter account and only 69% of these are actually tweeting. Here in Australia, the picture is remarkably similar. Only a handful of ASX 100 CEOs have an active Twitter account. Alongside our best-known tweeter, Rupert Murdoch (@rupertmurdoch), prominent Twitter users include Wesfarmers’ Richard Goyder (@RGoyder) and Telstra’s David Thodey (@davidthodey) who uses Twitter to respond directly to customers. The social shyness of many CEOs is understandable. They’ll tell you they don’t have the time, they don’t see the point or they’re fearful of inadvertently damaging their company’s reputation. But those who don’t tweet are missing an opportunity to engage in a very direct and human way with customers, employees and shareholders. An online executive presence can help evolve and protect a company’s reputation, not least through its immediate responsiveness. 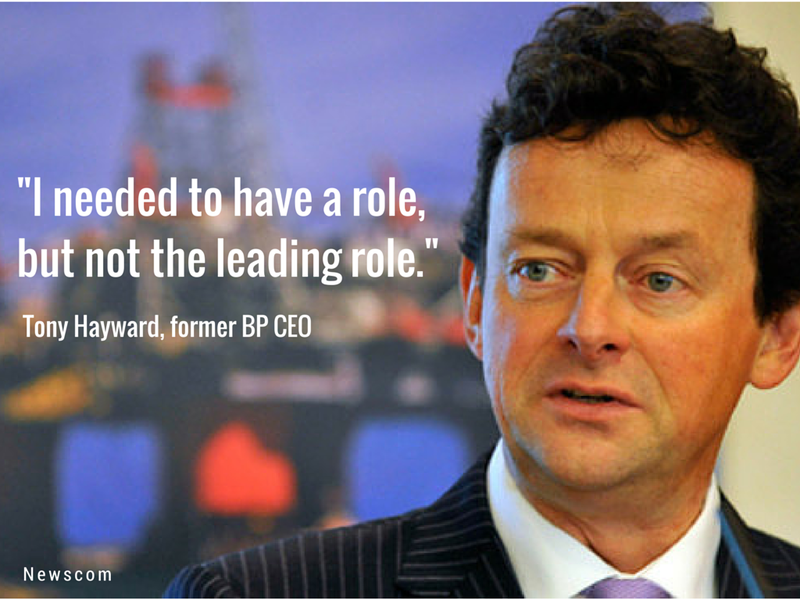 There’s no need for a time-poor CEO to shoulder the burden unaided. A Twitter strategy involves the communications team in calendar planning, crafting content, scheduling posts and monitoring for risks and opportunities. The same applies for LinkedIn, a far more popular social platform among senior executives. Managing a CEO’s LinkedIn profile is now a staple job requirement for corporate communicators. While the CEO.com survey suggests we’re not quite yet in the age of the social CEO, there are good reasons for business leaders to set their Twitter jitters aside.